Comvita Propolis Capsules is a strong antioxidant, providing a powerful support to your immune system and help as a liver tonic. Cranclense helps relieve bladder and urinary tract discomfort and helps to discourage adherence of harmful bacteria in the bladder and urethra. Deer Velvet has a long history of use in Oriental medicine and is well known to relieve joint pain in arthritis sufferers, slow the aging process, reduce stress, asthma, nervous disorders, inflammation, improve digestion and aid in the control of blood pressure. Foot patches are a simple non-invasive and natural way to detox the body. They simply warm up and stimulate the soles of your feet whilst you sleep. Over the past 50 years 100's of different chemicals have been introduced into our environment from the food and water we drink to the air we breathe. A build-up of toxins in the body can lead to an imbalance and health problems. Foot patches maintain a powerful reputation in traditional folk medicine, with a well documented use in China that dates back over 500 years. Simple yet effective, foot patches are based on the principles of Eastern medicine, which teaches that toxins move away from the heart and towards the extremities of the body - including the feet, where toxins accumulate. In traditional Chinese medicine the feet are regarded as your "second heart" and a mirror of internal health. During the day, when you're standing up and moving about, gravity pulls toxins down towards the feet. Foot patches are designed around this principle. Simply place one to six patches on the body at bedtime. You might be surprised to find that a clean, white patch can become soggy, wet and black after 8-12 hours of use. NutraLife Detox and Cleanse Powder helps to restore the health of the gastrointestinal lining, while protecting the liver against pollutants and assisting elimination of toxins from the bowel. The health of the intestinal tract is an important factor in any detoxification programme, especially as 70% of your immunity lies within the gastrointestinal tract. Serotonin is associated with mood, emotion and appetite reduction. A natural herbal remedy, 5-HTP has calming characteristics, giving rise to feelings of contentment while promoting sleep and relaxation. 5-HTP may also act as a mild appetite suppressant. Thompsons Third Age Senior Multi Tablets help maintain good health and assist in preventing premature ageing and degenerative disease. A comprehensive formula that replaces all the good nutrients that your body loses when you�re drinking. Berocca Performance is a vitamin tablet with added calcium, magnesium and zinc. It is available as an effervesscent tablet or as a film-coated tablet. Blackmores Bio Ace Excell provides a powerful leading edge antioxidant formula. 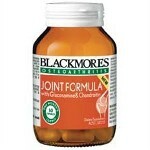 Blackmores Joint Formula with Glucosamine and Chondroitin may act as a building block for cartilage regeneration and assist in maintaining healthy joints. Blackmores Milk Thistle aids normal liver function, as well as protecting liver cells through its strong antioxidant activity. Research has found that valerian extract is able to significantly improve sleep quality, reduce time taken to fall asleep, and reduce frequency of night awakenings - especially in people with a history of poor sleeping habits. Clinicians Family C (Vitamin C) Capsules help support a healthy immune system and support the circulation. Clinicians Vitamin and Mineral Boost is a nutrient formulation that contains the major vitamins and minerals essential to human health. Clinicians Vitamin B12 Oral Drops provides a highly absorbable and rapidly assimilated form of Vitamin B12 in an oral format. GO FISH OIL 1500mg is a premium high potency fish oil sourced from deep sea wild fish. GO Fish Oil is molecularly distilled and mercury tested to ensure purity and quality. 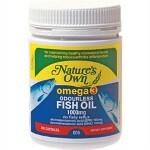 Fish Oil is an excellent source of Omega 3 Essential Fatty Acids which provide many well known health benefits. Fish oil is used for maintaing health cholesterol levels, reducing inflammation and joint swelling associated with arthritis and maintaining a healthy cardiovascular system. Swisse Men's Ultivite Multivitamin and Mineral and Anti-oxidant with Herbs has been designed by a professor to supplement Men's nutritional needs and helps in the maintenance or improvement of general well-being. Swisse Women's Ultivite Multivitamin and Mineral and Anti-oxidant with Herbs has been designed by a professor to supplement women's nutritional needs and helps in the maintenance or improvement of general well-being. Thompson's Femmefort is a multivitamin and mineral supplement tailored to meet the unique requirements of females. Junior Immunofort is a multivitamin and mineral supplement with immune boosting power. Providing all essential nutrients to insure daily intake of nutrients including wholefood concentrates for �picky� eaters, vegetarian and vegan children. Thompson�s Exclusively Men Men�s Multi offers a formidable array of nutrients, designed as an �insurance� policy should dietary deficiencies occur. Men�s Multi performs a preventative role to decrease the risk of disease and to support the health of all body systems. Men�s Multi may be useful in reducing tiredness, exhaustion and fatigue, it may improve energy output and help the body deal better with stress.